(Coestilen®) is the drainage system for welding made of polyethylene which is exceptionally elastic and resistant to mechanical stress and vibrations. The program consists of pipes and fittings in diam. 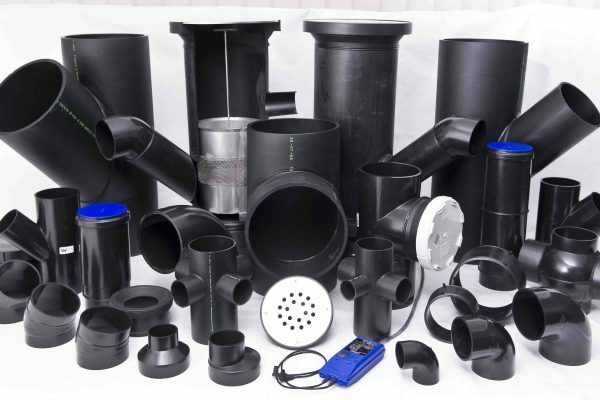 of 32 to 315 mm and includes a wide range of joint fittings and connections to sanitary and sewage systems. The high molecular weight of PE is a guarantee again fracture due to prolonged use. It is also particularly suited to absorb mechanical stresses of signi cant intensity; speci cally for in allation in seismic areas. Moreover it o ers excellent resi ance to operating temperatures between –40° and +70°C, with the capacity to handle peaks of up to 95°C. Coestilen® pipes and fittings are compliant with UNI EN 1519. OUTSTANDING ELASTICITY AND RESISTANCE TO MECHANICAL STRESS & VIBRATIONS, IDEAL FOR SEISMIC AREAS. OUTSTANDING RESISTANCE TO WORKING TEMPERATURES BETWEEN –40° AND + 70°C, TO CHEMICALS AND THE EFFECTS OF THE WEATHER. EXCELLENT RESISTANCE TO PRESSURE AND ACCIDENT PRESSURE SURGESPRESSURE AND ACCIDENT PRESSURE SURGE.